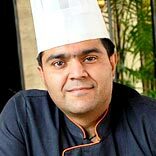 An interview with Chef Diwas Wadhera, Executive Chef, Mosaic Hotel, Noida. Talking to Restaurant India, Chef Diwas mentions how important is to operate under food license regulations as it ensures food safety and hygiene. He also talks about the changes that are taking place in the Indian restaurant business. You started your career way back in 2003, how do you see the food safety standard in India been changing with the time? The industry is making its presence felt in the international market. With the globalisation, we have international standards for food handling and safety in our hotels. In order to compete and sustain ourselves, we have to assure the customers from all over the world that we follow the international food handling and safety norms. For example, Hazard Analysis and Critical Control Points (HACCP) is a study that we have to incorporate in our day-to-day operations to serve our guests a safe food. How do you see the registration of food businesses, as the same has been made mandatory by the FSSAI? It is a mandate. We can’t run the show without it, and during the last 10 years, it has become a compulsion to have all the clearances that were earlier overlooked. The FSSAI has taken the correct measures because registering with Food Business Operators (FBOs) gives an authentication to the business, and FSSAI gets the authority to keep a check on the working of food business. Your expertise includes Indian and Continental cuisines. Which amongst the two is your favourite and which is a hit amongst your customers? We need to understand the choice of the customer. I can’t force a guest to eat a cuisine which is my forte, because it is the customer who makes the show a success, but yes we can recommend him the best in our archery. The customers have the liking for Indian cuisines, and the biggest challenge is to make Indian food interesting for the kids, who are drifting towards western and junk foods. What are the things that come along in designing a restaurant menu? What menu tweaks are you introducing to stand apart? It depends upon the research of the vicinity of the restaurant. The competition and preference of the crowd along with investment are essential to consider. Depending on the location, you need to decide on cuisines. Whether it is a mall or a shopping arcade or a hotel, the kind of cuisines preferred in a particular area or a type of food which is not available in a particular region decides the menu you can go for. About menu tweaking, I would say I love to experiment with my culinary expertise. In my new food menu, I have played with original dishes and given them a twist to give a wonderful experience to my guests. What’s the modern kitchen gadget you couldn’t live without? If favorite gadgets need to be mentioned I would go with a splendor mixer, foamer and a flame torch. Based on your experience, what would you advise to a beginner in the industry? One must have fire in the belly to take this profession because this is not a profession you choose but the profession that chooses you. People have a misconception of finding this profession glamorous, it is not so. If you want to excel in this field, you need to be innovative at every step and you should nurture your talent to grow.